The country that carries an ancient and colorful history known to many, has been hit by an escalating debt crisis. For the past five years, Greece has endured a hard hitting recession with a total debt of 323 Billion Euros. Greece has faced negotiations and bailouts to securely handle the situation within these past few weeks. The European Union has agreed to release eighty-six Billion Euros over the next three years. This will be the third bailout given to Greece by the European Union. To accept this bailout, the Greek government is required to not spend too much money, which has led to cuts on spending and higher taxes. 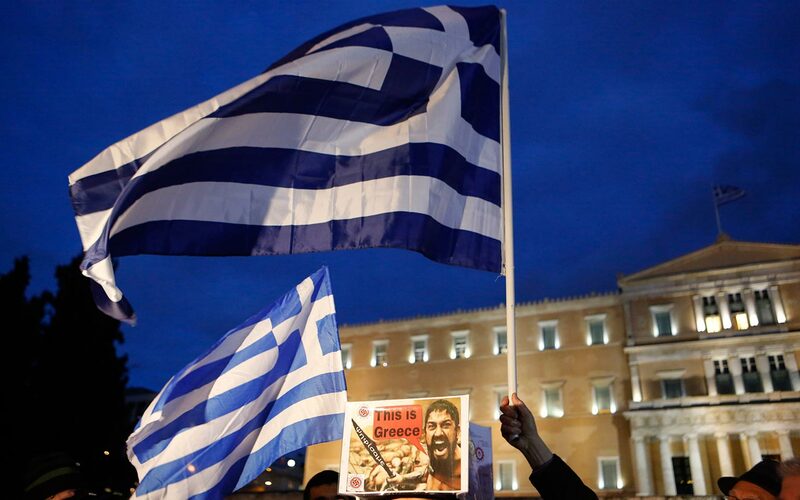 This has led to protests by Greek citizens who are against the government’s plan. The world now watches closely to see if Greece will pay 1.6 billion Euros, which was due Tuesday July 21. It’s easy to see that times have been rough for the Greek citizens. After five years of a recession, the country struggles to keep their spirits up as ATMs and banks are closing and limiting the amount of money given to citizens. Many are becoming stressed by the large cap that has been placed, which has made accessing funds difficult. Hospitals and officials have noticed a rise in depression and suicide among the population. Researchers are studying to further understand the reason for these rising numbers. “Everyone is hopeless in Greece,” says Bettina Davou, Chief Researcher of the study. Some were hit harder than others, particularly those who lost their jobs. For many of these people, they have no hope in their government to get them out of this recession. Many Americans, especially college students, can sympathize with these issues. Many students in public and private universities are struggling to pay for schools that the total cost after four years is over $100,000. Students face choices such as taking out loans that may be a hinderance for a majority of their adult lives or joining the military to help thwart costs. Some students often think that college isn’t worth it and drop-out because of costs, leaving them stranded in a college-educated nation. Money runs the world. Many countries rely on natural resources such as gas, oils and minerals for finances, but some have to specifically rely on the tourism industry. For a relatively large country such as Greece, relying on profits from tourism can only go but so far. Hopefully, before things get worse, Greece’s government can figure out a way to ensure growth for the country in the future.